Feature a snowflake symbol on the side, and are made from a softer compound. That means they’re still soft enough to provide the grip you need in temperatures below 7oC. They also have a different tread pattern, with fine grooves or “sipes” cut into each tread block that bite into the snow better. Not only do winter tyres reduce stopping distances in snow and ice, but also in wet weather below 7­oC. enabling you to turn the car in circumstances where you might otherwise skid straight on. 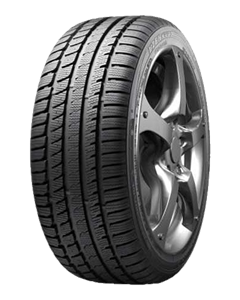 Exceptional traction performance on snowy and icy roads. Maximum straight-line grip combined with improved resistance to sideslip.